Our multidisciplinary research team collaborates in the development of protocols, study designs, analyses, and policies. Investigators contribute collaboratively to the synthesis of results for reports, manuscripts, abstracts, presentations, and other mechanisms for disseminating research results. Dr. Smith is a biostatistician with research interests in survival and recurrent event analysis and joint modeling. She received her PhD from the University of Michigan in 2016. Her dissertation research focused on methods for assessing time-dependent treatment effects for recurrent event outcomes using the method of sequential stratification. She received a BA in Economics and Political Science from the University of Michigan in 2007, and an MS in Biostatistics from the University of Michigan in 2012. Dr. Smith joined Arbor Research in 2011 and provided statistical support for the Adult-to-Adult Living Donor Liver Transplantation Cohort Study (A2ALL). She currently serves as lead biostatistician in Arbor Research’s collaboration with the Pelvic Floor Research Group at the University of Michigan and contributes statistical expertise to several projects in the Scientific and Data Coordinating Centers (SDCC) program area including the Symptoms of Lower Urinary Tract Dysfunction Network (LURN) and Transplant Outcomes Using Generic and Brand Name Immunosuppressants (TOGBI) study. Dr. Smith has served as lead analyst on many manuscripts published in peer-reviewed journals and has contributed to abstracts presented at national scientific meetings. Dr. Pozniak is a health services researcher with over 14 years of healthcare and policy analysis research experience. She has worked on numerous federally-funded projects to address a variety of health policy issues, including identifying and defining vulnerabilities in CMS’ hospice program; econometric and impact analyses to support CMS’ efforts to add a case-mix adjustment to Medicare’s end stage renal disease (ESRD) prospective payment system; and evaluating the impact of value-based purchasing on home health quality, Medicare expenditures, beneficiary experience, and utilization. Dr. Pozniak has also conducted qualitative research, including case studies and interviews with key informants, patients, and medical providers. Dr. Pozniak is currently the project director for the CMS-funded project that evaluates the home health value-based purchasing (HHVBP) model. Prior to joining Arbor Research in 2015, Dr. Pozniak served as project director and analytic lead at Abt Associates for projects funded by CMS, the Centers for Disease Control and Prevention (CDC) and the National Multiple Sclerosis Society. She received her PhD in Health Services Organization and Policy, with a concentration in economics, from the University of Michigan in 2006. Dr. Young graduated from the University of Michigan Medical School in 1981. He went on to clinical training in Internal Medicine and Nephrology followed by masters-level training in research design and statistics from the University of Michigan School of Public Health in 1993. After serving on the faculty of Oregon Health Sciences University for four years, he joined the Division of Nephrology at the University of Michigan in 1990, rising to the rank of Professor of Internal Medicine. He served as Chief of Staff at the VA Ann Arbor Healthcare System and Assistant Dean for Veterans Affairs from 2001 to 2018, when he joined Arbor Research. He has been involved with many studies in the areas of chronic kidney disease and end-stage renal disease including the DOPPS (Dialysis Outcomes and Practice Patterns Study). He has also been involved with multiple projects related to quality improvement, patient safety, clinical efficiency and clinical program evaluation in many areas, including home care, telehealth and medication management. Dr. Liu received his PhD in Industrial Engineering from University of South Florida. He joined Arbor Research in September 2015 to work on projects involving process modeling/monitoring, biomarker identification and system prognostics. He is a data scientist, mathematical modeler and biostatistician with a solid background in statistics, mathematics and physics. Dr. Liu has been conducting high-quality, interdisciplinary research in the fields of engineering, physics and medical science. His areas of expertise include complex systems modeling and control, big data analytics for large-scale systems, healthcare informatics and signal processing, quality engineering and applied statistics, computer simulation and optimization. Dr. Zee is a biostatistician with methodological research interests in survival analysis, measurement error, and biomarkers. She received her PhD in 2014 from the University of Pennsylvania, where she developed survival estimation methods and study design strategies for data with both mismeasured outcomes and a subsample of validated outcomes. Dr. Zee’s doctoral studies were funded by a National Institutes of Health (NIH) Mental Health Biostatistics training grant, and she has previous experience with clinical collaborations in the areas of mental health and women’s health. Dr. Zee joined Arbor Research in 2014 and contributes statistical expertise for the design and analysis of data from studies in chronic kidney disease and organ transplant. These include the Dialysis Outcomes and Practice Patterns Study (DOPPS), the Empowering Patients on Choices for Renal Replacement Therapy (EPOCH-RRT) study, the Adult-to-Adult Living Donor Liver Transplantation Cohort (A2ALL) study, the Transplantation Outcomes Using Generic and Brand Name Immunosuppressants (TOGBI) study, and the Nephrotic Syndrome Study Network (NEPTUNE). In 2016, Dr. Zee was awarded a career development fellowship from the NIH-funded NEPTUNE study to develop statistical methods for analyzing glomerular disease morphology data, including methods for estimating agreement and for defining disease progression outcomes. She is also currently collaborating on research projects on patient-centered outcomes and several studies using cluster analysis and mixed methods. Mr. McCullough joined Arbor Research in 1998. He uses statistical models and computer simulations to describe interrelationships between patient characteristics, policy, patterns of care, and outcomes. He also investigates methodology issues, including informative censoring, missing data imputation, and measures of model predictive power. Mr. McCullough supported the Kidney and Thoracic Committees of the Organ Procurement and Transplantation Network with statistical and simulation analyses that informed policy decisions. He has 29 peer-reviewed publications on dialysis patient and transplant recipient survival, hospitalization, and quality of life. At Arbor Research he contributes to the study design and/or analyses for the Dialysis Outcomes and Practice Patterns Study (DOPPS), and the Cure Glomerulonephropathy Network (CureGN) project with having previously worked with the Scientific Registry of Transplant Recipients (SRTR), the Managed Care Demonstration (MCDemo), and the United States Renal Data System (USRDS). Mr. McCullough received an MS in Biostatistics from the University of Michigan. Dr. Mariani is a nephrologist and researcher with a focus on glomerular disease progression and the extra-renal manifestations of this complex disease. Dr. Mariani received a BS in Biochemical Sciences from Harvard University and completed her MD at the University of Michigan. She completed her residency, nephrology fellowship, and the MS in Clinical Epidemiology program at the University of Pennsylvania. 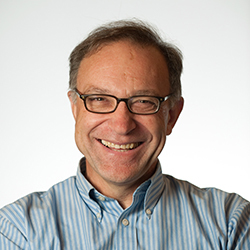 Dr. Mariani now holds a joint appointment at the University of Michigan and Arbor Research. She currently has a mentored clinical scientist career development grant through the University of Michigan Institute for Clinical and Health Research. This study aims to identify clinically relevant subgroups of patients with glomerular disease. At Arbor Research she serves as an investigator with the Chronic Kidney Disease Outcomes and Practice Patterns Study (CKDopps), the Cure Glomerulonephropathy (CureGN) Study, the Nephrotic Syndrome Study Network (NEPTUNE), and the NephCure Kidney Network Patient Powered Research Network. Dr. Henn received her PhD in biostatistics in 2015 from the University of Minnesota. Her methodological research interests include clustering and the limitations of Bayesian statistical methods and hypothesis tests for complex, high-dimensional data objects. Additionally, she has delineated conditions governing the emergence of multiple maxima in restricted likelihood and posterior distributions as well as the performance of Gaussian copula regression models when applied to non-continuous data. She has broad experience in statistical analysis approaches ranging from causal inference to item response theory. Additionally, she has over 10 years’ experience in the medical device industry as a mechanical engineer in roles spanning research, production, project management, and functional management. Dr. Henn leads operational improvement initiatives and serves as a statistician for the Childhood Liver Disease Research Network (ChiLDReN), supported by the National Institute for Diabetes and Digestive and Kidney Diseases. For Medicare’s End Stage Renal Disease (ESRD) Quality Incentive Program (QIP), she validates measure implementation and conducts methodological research into potential QIP improvements. She also provides analytic support for the Dialysis Outcomes and Practice Patterns Study (DOPPS) and as well as methodological support for newly proposed projects. Dr. Henn joined Arbor Research in 2016. 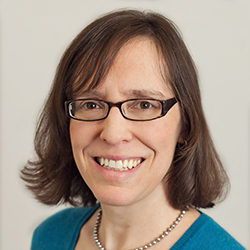 Dr. Turenne joined Arbor Research in 2010 and has more than 15 years of research experience related to the cost and quality of health care and to health policy design, implementation, and evaluation. He has led several projects in the Health Policy and Practice Program area of Arbor Research. Currently, he directs a project funded by the Centers for Medicare and Medicaid Services (CMS) to provide analytic and operations support for the implementation of the End-Stage Renal Disease (ESRD) Quality Incentive Program, and is the principal investigator for a health disparities study funded by the National Institutes of Health. He has also directed projects that provided support to CMS for the development of ESRD quality measures and a prospective payment system for Federally Qualified Health Centers. 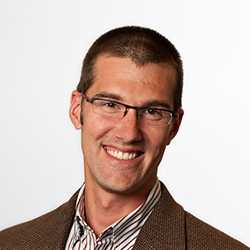 His research experience includes previous positions at the University of Michigan (UM) and the Urban Institute. He received his PhD in Health Services Organization and Policy, with a concentration in economics, from UM in 2003. Robert M. Merion, MD, FACS, has been President of Arbor Research Collaborative for Health since 2009. He is also Professor Emeritus of Surgery at the University of Michigan (UM), and a past president of the American Society of Transplant Surgeons (ASTS). He serves as the principal investigator of two National Institutes of Health (NIH)-funded scientific and data coordinating centers (DCCs): the Lower Urinary Tract Dysfunction Research Network (LURN); and the Childhood Liver Disease Research Network (ChiLDReN). He was previously the principal investigator for two additional DCCs: the Adult to Adult Living Donor Liver Transplantation Study (A2ALL); the Renal and Lung Living Donors Evaluation Study (RELIVE), and conducts ongoing research on living donors (National Living Donor Assistance Center and the Donor Lost Wages Study). From 2000 to 2010 Dr. Merion served as the clinical transplant director of the U.S. Department of Health and Human Services-funded Scientific Registry of Transplant Recipients (SRTR). He was a kidney, pancreas, and liver transplant surgeon for 32 years at UM, where his positions included Chief of the Division of Transplantation and Director of the UM Transplant Center. He retired from clinical practice in 2014. He directed the ASTS-approved transplantation fellowship training program at UM for 23 years. Dr. Merion has published over 280 peer-reviewed scientific articles and book chapters. Dr. Andreev is a mathematical modeler, computational biologist, bioinformatician, and physical chemist with a strong background in mathematics, physics, and analytical chemistry. He received his PhD in Physics from the St. Petersburg Polytechnic University and his DSc degree in Physics and Mathematics from the Russian Academy of Sciences. Dr. Andreev is experienced in proteomics, transcriptomics, metabolomics, pathway analysis, mass spectrometry, and separation science. He joined Arbor Research in October 2014. Prior to this he was an Associate Professor at the University of Miami, doing systems biology, bioinformatics, and mathematical modeling of complex systems in particular related to cardiovascular disease, Alzheimer’s disease, depression, and rejection in transplantation. At Arbor Research, Dr. Andreev is involved in multiple projects that require ‘omics,’ bioinformatics, and complex systems modeling expertise. Dr. Andreev is the author of 66 (51 first-authored) papers and 2 patents. 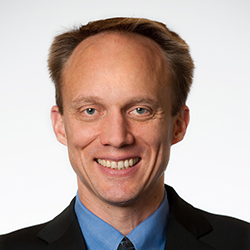 His current scientific interests include development of clustering methods for deep phenotyping of complex diseases as well as multiscale computer simulation of chronic diseases progression and treatment. Research analysts are proficient in a variety of statistical techniques, including regression, survival analysis, longitudinal methods, hierarchical methods, and power analysis. Ms. Kapke provides support for the Health Policy and Practice Program area of Arbor Research. Presently she is the managing analyst on the End-Stage Renal Disease (ESRD) Quality Incentive Program (QIP) project, which provides validation of final performance scores and payment reductions for over 5,000 Medicare-certified dialysis facilities in the United States, help desk support during the score preview period, and analytic support for the ESRD QIP Final Rule, published yearly in the Federal Register. Ms. Kapke received an MS in Biostatistics from the University of Michigan in 1996. She is also a managing analyst for the U.S. Renal Data Systems project. She previously served as a senior analyst on the Centers for Medicare and Medicaid Services (CMS) ESRD Quality Measure Development and Maintenance contract. Prior to joining Arbor Research in 2010, Ms. Kapke was a biostatistician at Henry Ford Hospital for ten years where she was funded on several National Institutes of Health grants in areas of cancer, stroke, post-traumatic stress disorder (PTSD), and Parkinson’s disease research. She also was a consulting statistician to physicians and residents at Henry Ford Hospital and served as a statistician on the hospital’s Institutional Review Board from 2007-2009. Ms. Kapke has co-authored several papers accepted for publication in peer-reviewed journals and contributed to many abstracts presented at major scientific meetings. Mr. Karaboyas provides epidemiologic and biostatistical support for the international Dialysis Outcomes and Practice Patterns Study (DOPPS). He joined Arbor Research in 2010 after receiving his MS in Biostatistics from the University of Michigan School of Public Health. Prior to graduate school, he earned his BS in Mathematics from the University of Michigan – Dearborn and worked as a Research Analyst at DTE Energy. At Arbor Research, Mr. Karaboyas helps identify best practices in hemodialysis using appropriate and innovative statistical methods, making extensive contributions to all aspects of DOPPS research, including proposal development, study design, data analysis, and manuscript preparation. Mr. Karaboyas has represented Arbor Research at several international conferences, contributed to numerous abstracts, and worked as the lead analyst on over 20 manuscripts accepted for publication in peer-reviewed journals. Mr. Bieber earned his MS in Physiology from Michigan State University in 2005 and Master’s in Public Health Epidemiology from the University of Michigan in 2007. He has worked as a bench scientist studying diabetes, and as a public health epidemiologist conducting chronic and infectious disease surveillance. He joined Arbor Research in 2008 and has contributed to the management, study design, and analytics of the Dialysis Outcomes and Practice Patterns Study (DOPPS), the Peritoneal Dialysis and Practice Patterns Study (PDOPPS), and the Chronic Kidney Disease Outcomes and Practice Patterns Study (CKDopps). He has coordinated the DOPPS Practice Monitor to report trends in US dialysis care, worked extensively with Arbor Research clinicians to design and revise study questionnaires, while also collaborating with investigators on projects and publications involving a number of different statistical approaches including Cox proportional hazards models, parametric models, generalized linear models (e.g. logistic and Poisson regression), and linear mixed models. Mr. Cogan conducts health outcomes research, and provides analytic support and statistical expertise for the Health Policy and Practices Program area. He has excellent experience performing quantitative analyses with Medicare claims, especially through contract work on Measure and Instrument Development and Support (MIDS) and Research, Measurement, Assessment, Design, and Analysis (RMADA) projects. His current contract work through the Centers for Medicare & Medicaid Services (CMS) includes a project to monitor and evaluate the effects of the End-Stage Renal Disease (ESRD) Quality Incentive Program (QIP). He also plays a key analytic role on a RMADA project focused on evaluating how Home Health Value-Based Purchasing (HHVBP) incentives have influenced Home Health Agency (HHA) behavior, quality of care, Medicare expenditures, beneficiary experience, and utilization in selected states. His research additionally includes National Institute of Health (NIH) grant work focused on the ESRD Prospective Payment System (PPS) and health disparities in ESRD. Mr. Cogan’s experience on MIDS contracts has also included validation work supporting the ESRD QIP implementation, and the development of quality measures in the areas of ESRD and population health. Prior to joining Arbor Research in 2012, Mr. Cogan was a biostatistician at Henry Ford Health System where he was funded on NIH grants and served as a consulting statistician to physicians and residents within the hospital. He has co-authored papers accepted for publication in peer-reviewed journals and has contributed to several abstracts presented at major scientific meetings. He received his BS in Applied Statistics from Western Michigan University in 2008 and an MS in Biostatistics from Grand Valley State University in 2010. Ms. Beil oversees the efforts of the team of masters- and doctoral-level biostatisticians, epidemiologists, and economists conducting research in the Science and Data Coordinating Centers program. Ms. Beil received her MPH in Epidemiology from the University of Michigan in 2005 and is skilled in study design and a wide variety of statistical techniques, including Cox proportional hazards models, generalized linear models (e.g. logistic and Poisson regression), linear mixed models, and simulation modeling. In addition to her current work with the Childhood Liver Disease Research Network, Adult-to-Adult Living Donor Liver Transplantation Cohort Study, Renal and Lung Living Donors Evaluation Study, and Transplant Outcomes Using Generic and Brand Name Immunosuppressants projects, she was an analyst with the Scientific Registry of Transplant Recipients from 2005-2010. Ms. Beil was previously employed by Arbor Research as a Research Assistant and also served as a Consultant while pursuing her graduate studies. She rejoined Arbor Research full-time in 2005 upon completion of her MPH degree and has since provided statistical analysis and research support for multiple projects, including numerous publications, abstracts, and oral presentations for national audiences. Dr. Tu joined Arbor Research in 2014 and provides analytical support for the international Dialysis Outcomes and Practice Patterns Study (DOPPS) program, including the Chronic Kidney Disease Outcomes and Practice Patterns Study (CKDopps). She has experience applying various types of statistical models as a means of multivariable data exploration and of subgroups identification for electronic health records from large administrative/claims databases as well as for clinical data from longitudinal/multilevel health services research, comparative effectiveness research, and translational community-based clinical trials. She has been a co-author on several peer-reviewed publications, abstracts, and poster/oral presentations. She received her doctoral degree in Biostatistics and master’s degree in Health Information Systems from the University of Pittsburgh. Prior to joining Arbor Research, she worked as a data manager and biostatistician in the Prevention Research Center at the University of Pittsburgh. Dr. Muenz earned his PhD in biostatistics from the University of Michigan in 2017, where he developed novel designs for phase I clinical trials for cancer therapies. He joined Arbor Research in 2017, mere weeks after defending his PhD dissertation. At Arbor Research he is an analyst on the Dialysis Outcomes and Practice Patterns Study (DOPPS). Before graduate school, he worked at Harvard’s Center for Biostatistics in AIDS Research, as a SAS programmer and apprentice statistician. He has extensive experience collaborating with physicians and other statisticians on a range of medical and public health topics, from the potential of antiretroviral drugs to cause birth defects, to whether a new form of cancer therapy justifies its extra expense compared to an older technology. He loves the diversity of scientific topics his expertise in biostatistics allows him to explore. Ms. Wang joined Arbor Research as a Research Analyst in 2016. With a wide variety of statistical techniques and skills in SAS programming, as well as multi-disciplinary knowledge, she provides analytical support for the End-Stage Renal Disease (ESRD) Quality Incentive Program (QIP) project and the ESRD Monitoring and Evaluation Program funded by the Centers for Medicare & Medicaid Services (CMS). She also contributes to the production of the Annual Data Report (ADR) of the United States Renal Data System (USRDS), funded by the National Institute of Diabetes and Digestive and Kidney Diseases (NIDDK) and the National Institutes of Health. Ms. Wang received her MS in Analytical Chemistry from Duke University in 2013 and MS in Biostatistics from the University of Michigan in 2015. Prior to joining Arbor Research, she was a statistician for the University of Michigan Health System. Mr. Fuller provides a broad range of analytical and data management skills in support of the international Dialysis Outcomes and Practice Patterns Study (DOPPS) programs, co-developing and maintaining the DOPPS Practice Monitor (DPM) reporting tool. He earned a BS in Computer Science from the University of Illinois at Urbana-Champaign in 2002 and an MS in Biostatistics from the University of Michigan at Ann Arbor in 2008, and is credentialed as a SAS Certified Base Programmer and SAS Certified Advanced Programmer for SAS 9. Previously, Mr. Fuller was a Research Assistant (Data Manager) at Wayne State University, provided statistical consulting at the University of Michigan Center for Statistical Consulting and Research (CSCAR), and co-developed an introductory SAS workshop for the Ann Arbor chapter of the American Statistical Association. Mr. Fuller has been a co-author on more than 18 peer-reviewed manuscripts across a variety of research journals. Ms. Liu joined Arbor Research in 2014. She received her Bachelor of Medicine from Central South University in China in 2012, and Master of Public Health (MPH) from Washington University in St. Louis in 2014. At Arbor Research, Ms. Liu provides statistical support for the Adult-to-Adult Living Donor Liver Transplantation Cohort Study (A2ALL), Transplant Outcomes Using Generic and Brand Name Immunosuppressants (TOGBI) and Nephrotic Syndrome Study Network (NEPTUNE) projects. Ms. Liu has contributed as an analyst on several manuscripts accepted in peer-reviewed journals as well as abstracts presented at national science meetings. Ms. Schrager graduated from the University of Michigan School of Public Health in 2015 with a Master’s of Public Health degree, specializing in Epidemiology Methods and Applications. Her graduate thesis research examined the relationship between genetic variation and expression and cognitive function among adults enrolled in two national cohort studies. Ms. Schrager brings her analytical skill set to Arbor Research and provides statistical support to the Home Health Value-Based Purchasing (HHVBP) Program funded by the Centers for Medicare and Medicaid Services (CMS). Additionally, Ms. Schrager applies her knowledge of statistical analysis and her strong interest in chronic disease health outcomes to the production of the United States Renal Data System (USRDS) Annual Data Report (ADR). Prior to joining Arbor Research’s Health Policy and Practice Program (HP3) area in March 2017, Ms. Schrager worked as the Cancer Genomics Epidemiologist at the Michigan Department of Health and Human Services, where she focused on state-wide surveillance of hereditary cancer syndromes. Mr. Wiseman joined Arbor Research in 2014 and provides statistical support for the Symptoms of Lower Urinary Tract Dysfunction Research Network (LURN) as well as the End-Stage Renal Disease (ESRD) Quality Incentive Program (QIP). He received his BS in Financial Mathematics and Economics from the University of Michigan in 2008, and his MS in Biostatistics from Grand Valley State University in 2014. Mr. Wiseman has served as lead analyst on several manuscripts published in peer-reviewed journals and has contributed to abstracts submitted to national scientific meetings. Dr. Zhao joined Arbor Research in 2014. She provides analytical support for the international Dialysis Outcomes and Practice Patterns Study (DOPPS), the Peritoneal Dialysis Outcomes and Practice Patterns Study (PDOPPS), and the Empowering Patients on Choices for Renal Replacement Therapy (EPOCH-RRT) Study. Dr. Zhao earned her PhD degree from Beijing Forestry University in China in 2010. She has been an author on several peer-reviewed publications, abstracts, and poster/oral presentations, and she serves as a reviewer and editor board member for many international journals. Before joining Arbor Research, she worked as a research biometrician at Oregon State University. Ms. Repeck joined Arbor Research in 2015 as part of the Health Policy and Practice Program (HP3) research team. She earned her BS in Statistics from Grand Valley State University in 2010, and proceeded to earn her MS in Biostatistics in 2012 from the same institution. Prior to joining Arbor Research, Ms. Repeck worked as a research assistant for a retina specialist in Grand Rapids, followed by working as a clinical research assistant for Detroit Medical Center Sports Medicine and its Orthopedic Surgery Fellowship program. Mrs. Hanslits joined Arbor Research’s Health Policy and Practice Program (HP3) in 2017. At Arbor Research she uses her statistical knowledge and skill with SAS programming to provide analytic support to the End Stage Renal Disease (ESRD) Quality Incentive Program (QIP), the ESRD QIP Monitoring and Evaluation Program, and the Home Health Value-Based Purchasing (HHVBP) Program. Mrs. Hanslits earned a BA in biology from Barnard College of Columbia University in 2013 and a MPH in epidemiology from the University of Michigan in 2017. Prior to joining Arbor Research, Mrs. Hanslits was a laboratory research assistant at Oregon Health & Science University where she studied the heritability of cardiovascular disease traits and epigenetic effects of alcoholism. Ms. Hawthorne joined Arbor Research in 2015 in support of the Childhood Liver Disease Research Network (ChiLDReN) study. She holds a BA in Biology and Quantitative Studies from Bard College at Simon’s Rock and an MSc in Epidemiology from McGill University. Prior to joining Arbor Research, she spent three years at Mayo Clinic as a Statistical Programmer Analyst providing statistical and database support for pancreatic and ovarian cancer research. She has particular experience with survival analysis, logistic regression, genetics, and immunology. Ms. Hawthorne is a co-author on several peer-reviewed publications. Dr. Lopes joined the analyst team for the Dialysis Outcomes and Practice Patterns Study (DOPPS) at Arbor Research in January of 2018. While earning his master’s degree at the University of Michigan, he worked on a project using mediation analysis to investigate health disparities in albuminuria as part of the Kidney Surveillance Program at the Kidney Epidemiology and Cost Center. Dr. Lopes is a trained nephrologist and has published papers on the diagnosis of chronic kidney disease in the very elderly and as an investigator in the Prospective Study of the Prognosis of Patients Treated Chronically by Hemodialysis (PROHEMO) developed in Salvador, BA, Brazil. Ms. Helmuth provides managerial and statistical support for the Lower Urinary Tract Dysfunction Research Network (LURN), the Transplant Outcomes Using Generic and Brand Name Immunosuppressants (TOGBI) project, and the Cure Glomerulonephropathy Network (CureGN). She previously served as a lead analyst for the End-Stage Renal Disease (ESRD) Quality Incentive Program (QIP), as well as the U.S. Renal Data Systems Project. Prior to joining Arbor Research in 2013, she was a statistician in the epidemiology department of the University of Michigan, working on research focusing on women’s health. Ms. Helmuth has served as lead analyst on several manuscripts published in peer-reviewed journals and has contributed to abstracts presented at national scientific meetings. Mrs. Ji joined Arbor Research in 2015 as part of the Health Policy and Practice Program (HP3) research team. She holds an MS degree in Statistics from the University of Toledo (UT). At Arbor Research she is applying her knowledge in data analysis and skills in SAS programming in order to extract data information for statistical analysis. Mrs. Ji has previous experience in data analysis and SAS programming as a member of the statistical consulting services group at UT. Complementing her experience in statistical analysis, Mrs. Ji achieved certification as a SAS Advanced Programmer in 2014. She is currently providing analytical support for the End-Stage Renal Disease (ESRD) Quality Incentive Program (QIP) project and the Home Health Value-Based Purchasing (HHVBP) Program funded by the Centers for Medicare and Medicaid Services (CMS). She also contributes to the production of the Annual Data Report (ADR) of the United States Renal Data System (USRDS), funded by the National Institute of Diabetes and Digestive and Kidney Diseases (NIDDK) and the National Institutes of Health (NIH). Mr. Goodrich has over nine years of experience performing data analysis for health outcomes research as part of the Arbor Research team with extensive focus on pre- and post-liver transplantation outcomes. He earned an MS in biostatistics from the University of Michigan in 2003 gaining a solid foundation in methods of analyzing healthcare data including: linear regression, logistic regression and survival analysis. While providing analytic support to multiple projects at Arbor Research, he has also gained experience in the areas of data collection, data management, missing data imputation and simulation modeling. He has been the primary analyst on many publications using a variety of data sources. Mr. Goodrich is part of a team carrying out analyses to study renal function in liver transplant recipients based on registry data from the Scientific Registry of Transplant Recipients (SRTR). He is also the primary analyst on multiple manuscript projects analyzing data for two multi-center cohort studies, the Adult-to-Adult Living Donor Liver Transplantation Cohort study (A2ALL) and The Childhood Liver Disease Research Network (ChiLDReN). Dr. Mukhopadhyay conducts health outcomes research, performs statistical analyses, and provides support and biostatistical expertise to the Health Policy and Practice Program area. She applies her in-depth statistical knowledge to evidence-based medical research that informs policy and improves patient care. Her areas of expertise include statistical models (logistic regression, generalized linear models, Cox regression, mixed effects models, etc. ), biostatistical study design, statistical computing, and data analysis. She has worked on several National Institutes of Health- and Centers for Medicare & Medicaid Services-funded projects. With over 8 years of experience in management of health care research data and observational data analyses, Dr. Mukhopadhyay works with lead investigators to design analytical approaches for answering research questions. She manages and motivates teams of programmers and research analysts while also providing mentorship. Working with investigators, she identifies potential new projects and writes key sections of winning proposals. Dr. Mukhopadhyay has co-authored several peer-reviewed publications, abstracts, conference presentations, and reports for federal sponsors. She received her doctoral degree from Missouri University of Science and Technology in 2008. Prior to joining Arbor Research, she worked as Research Assistant professor at the University of Kansas Medical Center. Dr. Goyat joined Arbor Research in 2018 shortly after finishing her graduate studies from West Virginia University where she evaluated the association between the impact of type of comorbidity and diabetes and hypertension management, as part of her dissertation. She brings her analytical skills and critical thinking to the Arbor Research and provides statistical support to Home Health Value Based Purchasing (HHVBP). Her previous research was mainly focused on diabetes and its complications. Several of her projects were well received and she was rewarded for her work at local conferences as well international conferences in the field. Dr. Mandell joined the Health Policy & Practice Program at Arbor Research in 2017. Current and past projects include an evaluation of value-based purchasing for home health care for the Centers for Medicare and Medicaid Services (CMS), a CMS initiative on aligning quality amongst public reporting programs, and patient-centered research on treatment of chronic kidney disease. She has extensive training and expertise in qualitative and mixed methods research, community-based participatory research, policy analysis, and addressing health inequities through multi-level interventions. Prior to joining Arbor Research, she received her PhD from the University of Michigan School of Public Health. For her dissertation, she used grounded theory to understand how advocates are mobilizing to protect vulnerable communities from toxic exposures harmful to reproductive health. She previously worked for the New York City Department of Health and Mental Hygiene, the New York AIDS Coalition, and the Harvard School of Public Health. She also served as a health volunteer in the Peace Corps in Niger. She received her master’s degree from the Harvard School of Public Health and her bachelor’s degree from Harvard University. Ms. Mansfield provides analytic support for the Cure Glomerulonephropathy Network (CureGN) and Nephrotic Syndrome Study Network (NEPTUNE) projects. She received her BS in Mathematics from the University of Michigan, Ann Arbor and her MS in Biostatistics from the University of Michigan, Ann Arbor. Ms. Mansfield previously worked at Arbor Research from 2011-2015, before rejoining the company in 2017. Ms. Mansfield has served as lead analyst on several manuscripts published in peer-reviewed journals and has contributed to abstracts presented at national scientific meetings. Mr. Cuttitta joined Arbor Research in 2015 and brings expertise in population health analytics, provider evaluations, public health programming, and community health needs assessments in health insurer and community-based non-profit settings. 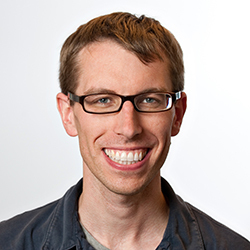 His work at Arbor Research focuses on the development of population health metrics; this builds on prior experience assessing multi-sectorial population health strategies and the development of health-focused data scorecards to analyze aggregate populations as well as specific social and demographic groups. Mr. Cuttitta received his MPH from the University of Michigan School of Public Health in 2009 and prior to joining Arbor Research he worked as a Senior Population Health Analyst at HealthPlus of Michigan (Flint, MI). Dr. Jin provides statistical support for the Health Policy and Practice Projects at Arbor Research, a group of projects primarily funded by the Centers for Medicare and Medicaid Services. Before joining Arbor Research in 2012, she led research projects and provided statistical support to the Physician Group Incentive Programs at Blue Cross Blue Shield of Michigan for over a year. Her research findings were employed to develop an assessment measure to rank primary care physicians and specialists based on their cost profiles for incentive designations. She also was a research statistician at the Centers for Disease Control and Prevention in Cincinnati, OH for three years. Dr. Jin was the lead author and co-author of several statistical methodology and epidemiology research papers published in peer reviewed journals. She earned a PhD in Mathematical Sciences focused in Statistics from the University of Cincinnati and a BS from Tsinghua University in China. Mr. Ding joined Arbor Research in May 2018. He previously worked as a research assistant during summer 2017. Mr. Ding provides analytical support for the End-Stage Renal Disease (ESRD) Quality Incentive Program (QIP) and the United States Renal Data System (USRDS) Annual Data Report (ADR) project. He received his Bachelor of Medicine from Central South University in China in 2012, and MS in Biostatistics from Tulane University in 2018. Before getting the MS degree, he worked as a resident physician in China for three years. He is also a SAS Certified Base/Advance Programmer. Project managers provide high-level oversight and direction to functional teams within the project to ensure that respective work priorities and approaches are internally consistent and align with the overall goals and budget of a project. Ms. Inoue joined Arbor Research in 2008. She holds a BA in Sociology and Political Science from the University of Michigan, and was certified as a Project Management Professional (PMP) in 2015. She has worked in the Health Policy and Practice Program area for several years and oversees a number of Centers for Medicare and Medicaid Services (CMS) and National Institutes of Health (NIH) funded contracts and grants. She currently serves as the Project Manager on the CMS Measure and Instrument Development and Support (MIDS) contract to support the implementation of the following projects: End-Stage Renal Disease Quality Incentive Program and Alignment of Quality and Public Reporting Programs and Websites. Ms. Pustulka joined Arbor Research in 2006. She received her BA degree in Political Science – Public Administration from Michigan State University in 2001. She coordinates project responsibilities for the Chronic Kidney Disease Outcomes and Practice Patterns Study (CKDopps), the CDC-CKD Surveillance study, the National Living Donor Assistance Center (NLDAC), and the Randomized Controlled Trial to Evaluate the Effect of Lost Wage Reimbursement to Potential Kidney Donors On Living Donation Rates (Donor Lost Wages Study). Ms. Kincaid joined Arbor Research in 2015 after working as a consultant for Arbor Research focusing on technical operations and project management. Prior to that she served as Operations Director of the nephrology Applied Systems Biology Core at the University of Michigan. Ms. Kincaid holds an MS in Natural Resources Biometrics from the University of Michigan but has mainly worked in clinical research (various positions in Data Management, Clinical Data Programming, and Statistics at i3 STATPROBE), cancer genomics (COO at Compendia Biosciences), and improving patient/provider communications (COO at Eloquence Communications). In her current role, she is focused on developing and implementing project management and operational processes across projects and program areas that help teams work better and deliver better results. Ms. LaChance joined Arbor Research in 2016 as part of the Scientific and Data Coordinating Center team. She provides management support of the Childhood Liver Disease Research Network (ChiLDReN) studies. Before joining Arbor Research, Ms. LaChance worked as Project Manager and Director of Operations at Trialynx providing management and operational support of multiple clinical research studies. She previously worked at the University of Michigan Medical School Institutional Review Board (IRBMED) as Assistant Regulatory Analyst, and at Clinical Lynx, Inc. as Pharmacovigilance Administrator. Mr. Pearson provides direction and expertise in the Health Policy and Practice Program area of Arbor Research. His areas of focus include the application of statistical and econometric methods, quality measurement, public reporting, delivery and payment system design, program evaluation, disparities, value-based purchasing, and Medicare. He has authored or co-authored numerous peer-reviewed publications, conference presentations, and reports for federal sponsors. Mr. Pearson is currently working on a Ph.D. in Health Services Organization and Policy at the University of Michigan with a focus on health economics. He earned an MS in Survey Methodology in 2005 from the University of Maryland and a BS in Statistics, Computer Science, and Mathematics in 2002 from Central Michigan University. Mr. Pearson previously worked at the University of Michigan Kidney Epidemiology and Cost Center and the U.S. Census Bureau. Dr. Graff received his PhD in Epidemiology from the University of Alabama at Birmingham School of Public Health and his MS in Community Medicine from Wayne State University School of Medicine. He has over 20 years of experience in conducting epidemiologic studies of cancer causes, control, and outcomes, with most of his research focusing on quality of care in newly diagnosed cancer patients and treatment outcomes well into their survivorship period. 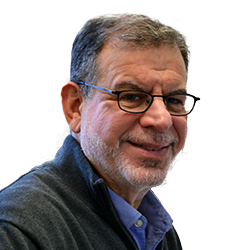 He served as a Principal and Co-Investigator at the State of New Jersey and Metropolitan Detroit NCI-funded SEER Registries, overseeing data collection, data access, data use, and population participation in numerous research studies. Dr. Graff joined Arbor Research Collaborative for Health in 2016, serving as Program Area Manager for the Scientific and Data Coordinating Centers (SDCC) Program and associated SDCC program area studies. Mr. Milkovich joined the Health Policy and Practice Program in 2015. Prior to this appointment, Mr. Milkovich managed the administrative, research, and philanthropic activities for the University of Michigan Center for Value-Based Insurance Design, a nonprofit health care policy organization focused on innovative benefit design research and policy recommendations to improve health care quality and reduce costs. Previously, Mr. Milkovich served as a nonprofit manager for the Lesbian, Gay, Bisexual, and Transgender Community Center in New York City—a community health center focused on health service provision and licensed outpatient chemical dependency programs. He has substantial experience engaging diverse communities in culturally appropriate health behavior interventions; qualitative research; organizational strategy and significant project administration experience. He holds a Bachelor’s Degree of Fine Arts in English Literature from the University of Michigan, Ann Arbor, and a Master’s Degree in Public Administration and Health Care Policy from Wayne State University, Detroit, Michigan. Mr. Wladkowski joined Arbor Research in 2017 as part of the Scientific and Data Coordinating Centers team. He holds a BS in Accounting from Bryant University, an MS in Regulatory Affairs from Northeastern University and is a certified Regulatory Affairs Professional (RAC). He has extensive experience in clinical research including project management, regulatory preparation and research compliance. Mr. Wladkowski currently serves as Project Manager for the Cure Glomerular Disease Research Network (CureGN) project. Ms. Fava joined Arbor Research in 2015 as part of the Scientific and Data Coordination Center team. She holds a BA from the University of Michigan, an MPA in nonprofit management from Eastern Michigan University, and obtained her Project Management Professional (PMP) Certification in 2016. She has significant experience in managing contracts and grants from the Health Resources and Services Administration, the National Institutes of Health, the Centers for Disease Control, and the Department of Veterans Affairs. Ms. Fava lends her expertise by managing the Lower Urinary Tract Dysfunction Research Network (LURN), and Transplant Outcomes Using Generic and Brand Name Immunosuppressants (TOGBI) projects. Ms. Maxim joined Arbor Research in 2008 after receiving her BA degree from Michigan State University. She provides oversight to the operational project responsibilities of the DOPPS, ensuring that project aims are consistently met across the participating regions. In addition, she is charged with establishing and maintaining project work plans, focusing on budget and contract development as well as resource management. Prior to beginning her role as the DOPPS Project Manager Ms. Maxim served as a Project Associate and the Project Coordinator for the DOPPS. Members of this team contribute expertise in health care informatics, analytic programming, and data architecture. They also develop the instruments for original data collection, as well as the processes necessary to acquire and link existing administrative or externally collected data into analytic files. Mr. Salgia joined Arbor Research in 2014. He is well versed in all phases of analysis, design, development, administration, implementation, and testing client/server application using Microsoft SQL Server and the MSBI suite. Currently he is the lead programmer for the Peritoneal Dialysis Outcomes and Practice Patterns Study (PDOPPS) and supports CRF 2.0, as well as other projects as needed. He is involved in gathering requirements, evaluating the impact of changes on functionality, implementing new changes in development, code testing, prioritizing release, and releasing to production. Prior to joining Arbor Research, Mr. Salgia worked on development of OLTP, data warehouse, and BI applications as a SQL/BI consultant for Stericycle, Johnson & Johnson, and RR Donnelley, among others. He received his Master’s degree from the University of Florida. Ms. Kirschner joined Arbor Research in 2017. She has over twenty-five years of software experience as a technical manager, project manager, and application developer of enterprise web applications, embedded systems, and industrial automation. In her current role, she is focused on project management of new and existing software across the full software development life cycle, as well as product development of current and future core capabilities. Ms. Kirschner holds a BS in Computer Science from Michigan Technological University. Ms. Pellar-Kosbar joined Arbor Research in 2015. She holds an MS from Michigan Technological University in Rhetoric and Technical Communication. At Arbor Research, she applies her skills in quality assurance, business analysis, and technical communication to enhance and update the ChiLDReNLink user interface. Ms. Pellar-Kosbar’s previous experience includes business analysis, testing, and procedural documentation in education and health care settings. Mr. Glover joined Arbor Research in 2013 and is responsible for supporting MS SQL Servers and Oracle databases. Prior to joining Arbor Research, Mr. Glover had a 10-year career at The Auto Club Group supporting MS SQL Server, Oracle, and UDB databases. Before that, he worked for 5 years as a DBA for Computer Consultants of America, working at different clients as a SQL DBA Lead, Sybase, and Oracle DBA. He also worked for 20 years at Michigan Bell/Ameritech/SBC; his work there included programming, application design & implementation, and database administration. He has an AAS degree. Ms. Halbleib is responsible for database design and development for the ArborLink electronic data capture and study management system. Since joining Arbor Research in March 2015, she has been the primary database developer for the Childhood Liver Disease Research Network (ChiLDReN) observational studies and the Living Kidney Donor Lost Wages Reimbursement Study. She has also provided database support for the Centers for Disease Control and Prevention (CDC) Chronic Kidney Disease (CKD) Surveillance project. She has extensive experience in software development, implementation and project management, as well as experience in product management, technical sales support, data warehousing and reporting. She has been an advocate and author of software development and implementation methodologies. She has experience implementing and customizing Microsoft business management and accounting software. She has an AS degree in Computer Technology, and has completed course work in Operations Management and Project Management. Dori Bilik is the senior programming analyst on the End-Stage Renal Disease (ESRD) Quality Incentive Program and the NephCure Kidney Network project. Before joining Arbor Research in 2009, she was a senior programmer analyst at the University of Michigan (UM) Medical School, where she served as the central administrative data coordinator for Translating Research Into Action for Diabetes, a national multi-center study funded by the Centers for Disease Control and Prevention (CDC). She has extensive experience in manipulating federal and commercial healthcare data, including extracting, processing, reformatting, linking, standardizing and cleaning data from the CDC, Centers for Medicare and Medicaid Services, the Food and Drug Administration, Truven Health’s MarketScan® and managed care health plans. Ms. Bilik received an MBA with concentrations in computer and information systems and management and a BA in economics with concentrations in statistics and econometrics from UM. Mr. Wirth joined Arbor Research in 2012. He earned a BS degree in Computer Engineering from the University of Maryland. Presently he supports the electronic data collection software (ArborLink) and manages the database programmers that support and develop the instances for the Scientific and Data Coordinating Centers (SDCC) program and Dialysis Outcome and Practice Patterns Study (DOPPS) programs. He previously worked as a programmer on the implementations of the three different DOPPS instances of ArborLink. Prior to joining Arbor Research, Mr. Wirth spent six years at General Dynamics providing custom solutions for private insurance companies. Heather Dudek has over twenty years’ worth of experience working with Business Analytics in a few different industries. She has worked with pharmaceutical, sales, and insurance data, and programmed with a variety of tools and languages including SAS and SQL. She received her MS degree in Mathematical Statistics from Purdue University in Indianapolis. Since joining Arbor Research in 2014 she has been the lead SAS programmer for the implementation of the Childhood Liver Disease Research and Education Network (ChiLDReN). Recently she has also become lead programmer on the Cystic Fibrosis Liver Disease Network (CFLD). Mr. Xing joined Arbor Research in 2015. Currently, he is providing programming support for the Dialysis Outcomes and Practice Patterns Study (DOPPS) project, the National Living Donor Assistant Center (NLDAC) project, and the Symptoms of Lower Urinary Tract Dysfunction Research Network (LURN) project. Mr. Xing received his MS degree in Biostatistics from the University of Michigan (UM). At UM, he worked as a research assistant for the Stroke Health and Risk Education (SHARE) project, providing data manipulation, reporting, and statistical analysis. He is also a SAS ® Certified Base Programmer and skilled SQL Programmer. Ms. Downing joined Arbor Research in 2015. She has extensive experience as a Database Administrator and Architect working with both SQL Server and Oracle. She has specialized in tuning databases and code to allow for better scalability. She has experience supporting and tuning very large databases (VLDBs) and planning for growth for both hardware and software needs. Additionally, she has extensive development experience in health care, manufacturing, and retail. She has worked on medical research including data mining and is one of the authors on several research papers studying anti-depression medications and suicide. She graduated from the University of Michigan with a Bachelor of Science degree. Ms. Renko joined Arbor Research in 2012. She received her BBA in Computer Information Systems from Eastern Michigan University. Currently, Ms. Renko is working on the ArborLink suite of projects where she is responsible for the database design and development of the data collection tool that forms the basis for all new studies that require a data entry and study management platform. The tool is being used for studies such as the Cure Glomerulonephropathy Network (CureGN), the Nephrotic Syndrome Study Network (NEPTUNE), the Lower Urinary Tract Dysfunction Research Network (LURN), and the Childhood Liver Disease Research Network (ChiLDReN). She is currently the lead database developer for the NEPTUNELink data collection website and is also developing the database for the RecallLink project which is a new protocol for the LURN study. Previously, she worked on the End-Stage Renal Disease (ESRD) Quality Incentive Plan (QIP) project funded by the Centers for Medicare & Medicaid Services (CMS), developing and supporting the databases and reports for the DialysisReports.org website. She has over 25 years of experience designing, developing, and maintaining software applications and databases on various platforms. She has extensive experience working with various database management systems, including Oracle and Microsoft SQL Server. Ms. MacDougall joined Arbor Research in 2012. Currently, she provides programming support for the End-Stage Renal Disease (ESRD) Monitoring and Evaluation and ESRD Quality Incentive Program Validation projects. She has also provided programming support for the Nephrotic Syndrome Study Network and United States Renal Data System projects. As a research analyst, she provided statistical support for the ESRD Quality Incentive Program, ESRD Quality Measures, and the Federally Qualified Health Centers Prospective Payment System projects. She received her BS in Psychology and Statistics from Central Michigan University in 2010 and an MS in Biostatistics from the University of Michigan School of Public Health in 2012. She is also a SAS ® Certified Advanced Programmer. Ms. Forringer joined Arbor Research in early 2017 as part of the Data Services team. She provides management support for the National Living Donor Assistance Center (NLDAC) and Lost Wages studies. Ms. Forringer has over 20 years of project management experience in health care, higher education, non-profits, agency, and corporate settings. Prior to Arbor Research, she worked as Project Manager at the Center for Health Communications Research (CHCR) within the Cancer Center at Michigan Medicine. During her time there she project managed the development of six clinical intervention projects, including a pediatric clinical electronic medical record linked in-patient iPad app, a breast cancer post-surgery support app, and a urinary incontinence education tool for women. Her recent publications include “User-Centered Design Groups to Engage Patients and Caregivers with a Personalized Health Information Technology Tool.” Ms. Forringer also previously worked at the University of Michigan Medical School Information Services (MSIS) as a project manager. Ms Forringer is a University of Michigan graduate, earning her BA degree in 1987. Ms. Zhang joined Arbor Research in 2017. Currently, she provides programming support for the End Stage Renal Disease (ESRD) Services Monitoring and Evaluation (M&E) project and the ESRD Quality Incentive Program. Ms. Zhang received an MS in Pharmacology from National University of Singapore in 2015, and an MPH in Epidemiology from the University of Michigan in 2017. While working at the University of Michigan Kidney Epidemiology and Cost Center (UM-KECC), she participated in the United States Renal Disease System (USRDS) project, and the Centers for Disease Control (CDC) Chronic Kidney Disease (CKD) surveillance project. She is also a SAS® Certified Advanced Programmer. Ms. Li joined Arbor Research in 2016 where she applies her data analysis and programming skills to support the Nephrotic Syndrome Study Network (NEPTUNE) project as well as the Peritoneal Dialysis Outcomes and Practice Patterns Study (PDOPPS) project. She received her master’s degree in Statistics from the University of Michigan-Ann Arbor. Ms. Li is a SAS Certified Advanced Programmer and has previously worked with a variety of different kinds of data using tools and languages including SAS and SQL. Ms. Pullen joined Arbor Research in 2012 and as an Information Services Analyst, she works with studies utilizing the ArborLink data collection application, helping to improve the user experience, track outstanding issues, and assemble and/or create technical and functional specifications incorporating the study protocol and user requirements. Ms. Pullen has been an installer/trainer and project manager of software applications for newspapers, for which she did quality assurance testing, provided end-user technical support, and wrote technical documentation. Most recently she worked with a non-profit to integrate technology into the classroom at the top liberal arts colleges and universities in the country. Ms. Pullen has a BA from Smith College. Dr. Ji graduated from the University of Toledo with a doctorate in Cell and Molecular Biology in 2016. He worked as a postdoctoral research fellow at the Department of Radiation Oncology at the University of Michigan for one year before joining Arbor Research in 2018. He has experience in analyzing and interpreting data in the life sciences and has published three peer-reviewed papers. Complementing his experience in statistical analysis, he achieved certification as a SAS Base Programmer in 2017. As a programmer at Arbor Research, Dr. Ji provides programming support for the Childhood Liver Disease Research Network (ChiLDReN) and the Dialysis Outcomes and Practice Patterns Study (DOPPS). Mrs. Dietrich joined Arbor Research in 2014 and holds two MS degrees in Statistics and Civil Engineering from the University of Toledo. Mrs. Dietrich is a certified SAS Advanced Programmer. She applies her knowledge in data analysis and skills in SAS programming to extract and present relevant information from intricate data sets. Mrs. Dietrich provides programming support for Peritoneal Dialysis Outcomes and Practice Patterns Study (PDOPPS), Chronic Kidney Disease Outcomes and Practice Patterns Study (CKDOPPS), and the End-Stage Renal Disease (ESRD) Quality Incentive Program (QIP) project funded by Centers for Medicare and Medicaid Services (CMS). She also contributed to the production of the Annual Data Report (ADR) and manuscript development of the United States Renal Data System (USRDS), funded by the National Institute of Diabetes and Digestive and Kidney Diseases (NIDDK) during 2014 to 2018. Mr. Dietrich joined Arbor Research in October 2014, after graduating from the University of Toledo with an MS degree in Statistics. He currently provides programming support to several projects, including: the Dialysis Outcomes and Practice Patterns Study (DOPPS), the Peritoneal Dialysis Outcomes and Practice Patterns Study (PDOPPS), End-Stage Renal Disease Quality Incentive Program (ESRD QIP) Validation, Home Health Value-Based Purchasing (HHVBP) Model Evaluation, and also the United States Renal Data System (USRDS) data querying web tool, RenDER. Previously, Mr. Dietrich also provided data processing and analysis support for the Population Health Measures project. Prior to joining Arbor Research, he achieved certification as a SAS Advanced Programmer. The applications development team designs the customized software used to communicate research findings and coordinate study protocols. Team members are responsible for engineering, developing, and maintaining Windows and web-based customized applications. Mr. Sutton joined Arbor Research in 2015. He received his BBA in Computer Information Systems from Eastern Michigan University. Prior to joining Arbor Research, he worked within the University of Michigan Health System and at the Saint Joseph Mercy Hospital Quality Institute where he was responsible for creating and maintaining over 30 unique web applications. He has over 16 years of experience with web application development and database design. At Arbor Research, his responsibilities include web application design and development for the National Living Donor Assistance Center (NLDAC), DOPPS Practice Monitor (DPM), and NephCure Kidney Network (NKN) Registry websites. Additionally, he provides support for the Chronic Kidney Disease (CKD) Surveillance website. Mr. Sirich works to build and support customized web-based applications and content management systems. At Arbor Research, Mr. Sirich has worked on a website for the United States Renal Data System (USRDS), a national data system that collects, analyzes, and distributes information about chronic kidney disease (CKD) and end-stage renal disease (ESRD) in the United States. His primary focus has been with public websites (e.g. ArborResearch.org, DOPPS.org, ChoosingDialysis.org, USRDS.org) and also with internal tools (e.g. our Intranet, publications maintenance system, JIRA ticketing system), where he has efficiently worked to integrate off-the-shelf software products and custom development work into Arbor Research’s portfolio of website and product offerings. Prior to joining Arbor Research in 2009, he worked for Dana Corporation and Shell Oil Company. Over the past years, Mr. Sirich has successfully designed and implemented numerous solutions for different industries including automotive, manufacturing, and healthcare. He holds various IT certifications and MS/MBA degrees from the University of Toledo. Mr. Sommerville joined Arbor Research in 2012. Prior to that, his work experience includes developing and maintaining complex software systems for businesses including Symantec and HP. His expertise is in user interface design and usability, internationalization and localization, and scalable reliable systems. His work at Arbor Research includes developing and supporting a wide variety of projects. He has a BS in Computer Science from the University of Michigan. Mr. Liao joined Arbor Research in 2007 where he designs customized software used to communicate research findings and coordinate study protocols. He is responsible for engineering, developing, and maintaining Windows and web-based customized applications. Mr. Liao also works to implement the ArborLink data collection application for a variety of projects. He earned an MS in Computer Sciences from Eastern Michigan University in 2001. Mr. Lipham has spent his career developing software for a number of disparate fields ranging from marketing to manufacturing and finance. With an eye toward efficiency, he has developed and maintained several real-time financial market trading software applications and numerous internal and external corporate websites. Additionally, Mr. Lipham has spent time teaching classes in development of .NET and database technologies. At Arbor Research, he is working on projects to portray the results of Chronic Kidney Disease (CKD) research on the web and applications to improve the internal software development process flow. Mr. Lipham holds various IT certifications and holds a Doctorate in Music from the University of Michigan. Mr. Callahan joined Arbor Research in 2011. He has been dedicated to the Dialysis Outcomes and Practice Patterns Study, Peritoneal Dialysis and Outcomes Practice Patterns Study, Chronic Kidney Disease Outcome and Practice Patterns Study, United States Renal Data System and the Permissions systems. Prior to joining Arbor Research, Mr. Callahan was the vice-president of Development for Data Application Solutions, Boston MA; the director of Business Development and Data Services for Avizent, Dublin OH; company principal and director of Special Projects for the DORN Technology Group, Livonia MI; and vice president of R&D, later president for Advanced Systems and Designs, a statistical software and services company, Farmington Hills, MI. He earned BS degrees in Physics, Math and Computer Sciences from Central Michigan University. The project support teams assist in carrying out day-to-day implementation of the various studies under way at Arbor Research. Members facilitate communication with participating research centers and external collaborators; they also provide logistical support for dissemination of results through publications and scientific meetings, as well as the submission of contract deliverables to sponsoring agencies. Ms. Keesey joined the Dialysis Outcomes and Practice Patterns Study (DOPPS) team at Arbor Research in 2016. Currently she coordinates study operations and deliverables in Germany, Italy, and the Gulf Cooperation Council (GCC). Ms. Keesey received her Master in Public Policy (MPP) degree from Michigan State University in 2010, and she is a Certified Meeting Professional (CMP). Ms. Szymanski coordinates projects in the Health Policy and Practice Program funded by the Centers for Medicare & Medicaid Services (CMS), including the Evaluation of the Home Health Value-Based Purchasing (HHVBP) Model, and the End Stage Renal Disease Services Monitoring and Evaluation (ESRD M&E). She holds a BA in sociology and political science from the University of Michigan and previously worked at the University of Michigan Cardiovascular Center and the Institute for Social Research. Ms. Hogan joined Arbor Research in 2010. She received her BS degree in Speech-Language Pathology from Eastern Michigan University in 2007. She currently coordinates the operational project responsibilities for the Dialysis Outcomes and Practice Patterns Study (DOPPS) and facilitates communication between the DOPPS Program Coordinating Center and participating dialysis facilities in 17 countries. Additionally, Ms. Hogan helps to manage the planning and execution of external meetings and conferences at both the national and international level. Prior to beginning her role as the DOPPS Project Coordinator, Ms. Hogan also served as a Project Associate for the DOPPS. Mr. Ronski received a BBA in Management and a BA in French from Eastern Michigan University in 2001, and has prior experience with quality assurance, project coordination, and the pharmaceutical industry. He joined Arbor Research in 2010, and is currently based in the Health Policy and Practice Program (HP3) area, helping to coordinate the activities and completion of deliverables for the End-Stage Renal Disease (ESRD) Quality Incentive Program (QIP) and the Alignment of Quality & Public Reporting Programs (AQPRP) projects. Mr. Kippola completed his education at Eastern Michigan University in 2015 where he earned degrees in Political Science and History. His background is primarily in political organizations and non-profits, with over three years of experience in campaign organizing and county level government. He joined Arbor Research in 2015 as a Project Associate for the Dialysis Outcomes and Practice Patterns Study (DOPPS) and joined the Chronic Kidney Disease Outcomes and Practice Patterns Study (CKDopps) in 2016. He currently provides study support for DOPPS in Canada and Sweden, and also provides study support for CKDopps in the United States and Brazil. Ms. Norman joined Arbor Research in 2016 as a Project Associate for the Health Policy and Practice Program (HP3) and is currently working with the NephCure Kidney Network (NKN) project as well as the Evaluation of the Home Health Value Based Purchasing Model project. Previously, she worked as a student program coordinator at the University of Michigan’s Sexual Assault Prevention and Awareness Center. Ms. Norman holds a Bachelor of Arts degree from the University of Michigan with concentrations in Psychology and Women’s Studies, and is interested in non-profit program management. Ms. Bramblett graduated from the University of Arizona with a Bachelor’s degree in Fine Arts, and joined Arbor Research in 2016. Her current role at Arbor Research supports the SDCC program on the ChiLDReN project. Prior to Arbor Research, Emily worked at SoundRocket, as Study Coordinator for the Multi-Institutional Study of Leadership (MSL). Ms. Lord joined Arbor Research in 2015. She holds a LPN Diploma from Marion S. Whelan School of Practical Nursing and a BA degree in Psychology/Education with a Religion minor from Mount Holyoke College. Before joining Arbor Research, she worked at the University of Michigan in the Department of Neurology as a Certified Clinical Research Coordinator where she coordinated numerous multi-center clinical trials in Alzheimer’s disease and related dementias. At Arbor Research, Ms. Lord serves as Clinical Monitor for the Cure Glomerularnephropathy Network (CureGN). Ms. Lock joined Arbor Research and the Scientific and Data Coordinating Centers team as a Project Associate in 2014. She received her BA in Art History and Literature from Eastern Michigan University and her MLitt in Literature from the University of Aberdeen, Scotland. Prior to joining Arbor Research, Ms. Lock worked in project support, patient services, and quality control. She currently provides support to the Lower Urinary Tract Dysfunction Research Network (LURN), the End-Stage Renal Disease (ESRD) Quality Incentive Program (QIP), and the Childhood Liver Disease and Research Network. Ms. Fox joined the Peritoneal Dialysis Outcomes and Practice Patterns Study (PDOPPS) at Arbor Research in 2016, leading PDOPPS operations in the US and Australia and providing support to PDOPPS in Colombia. She also joined the Patient-Centered Research program area (PCR) at Arbor Research as the Project Associate for the Sharesource project, and is a member of the Health & Wellness committee. Ms. Fox received a BA in Psychology and a concentration in Medical Anthropology from the University of Michigan. Prior to joining Arbor Research, she worked in research administration at the University of Michigan Medical School. Her interests include medical anthropology, public health, and patient-centered research. Ms. Kane completed her education at the University of Michigan in 2013 where she earned a degree in Anthropology. Her background is in holistic health research and she has over 3 years of experience conducting research in complementary and alternative medicine (CAM) at the University of Michigan. She joined Arbor Research in 2015 as Project Associate for the Dialysis Outcomes and Practice Patterns Study (DOPPS) program. Her current responsibilities include assisting with data collection, ensuring compliance with study protocol and coordinating project timelines. Ms. Sexton joined Arbor Research in 2009 as part of the Dialysis Outcomes and Practice Patterns Study (DOPPS) team. She transitioned to the Chronic Kidney Disease Outcomes and Practice Patterns Study (CKDopps) in 2012 and the Empowering Patients On Choices for Renal Replacement Therapy (EPOCH-RRT) project in 2014. Ms. Sexton received her BBA from Eastern Michigan University in 2010. She earned her Certified Clinical Research Professional (CCRP) certification from the Society of Clinical Research Associates (SOCRA) in 2016. Ms. Sexton is currently the project associate and clinical monitor for the Cure Glomerulonephropathy Network (CureGN). She is also a clinical monitor for the Childhood Liver Disease Research Network (ChiLDReN). Ms. Goebel joined Arbor Research in May 2013 and works on many projects, including data entry for the Dialysis Outcomes and Practice Patterns Study (DOPPS), EPOCH and ChiLDReN. She also coordinates the external data entry process for DOPPS Patient Questionnaires (PQ). Ms. Suda-Wilson joined Arbor Research in 2013. She received her BS in Human Nutrition at University of Maine and is a Registered Dietitian. Ms. Suda-Wilson currently provides support for the Peritoneal Dialysis Outcomes and Practice Patterns Study (PDOPPS) project. Ms. Corbin joined the Dialysis Outcomes and Practice Patterns Study (DOPPS) team at Arbor Research in 2014. Currently she coordinates study operations in Belgium, Russia, Spain, and Turkey. Additionally, Ms. Corbin serves as the administrative lead for the DOPPS project team, assisting with communication development and tracking of deliverables. She also supports both domestic and international conference planning and is a member of Arbor Research’s Charitable Giving Committee. Ms. Corbin received her BA in Spanish from Michigan State University in 2011. Mr. Kress joined Arbor Research in 2012. He currently coordinates the operational project responsibilities and communication between the Peritoneal Dialysis Outcomes and Practice Patterns Study (PDOPPS) Program Coordinating Center and participating dialysis units in 7 countries. He received his BA in Communications and his Master’s in Public Policy (MPP), both from the University of Michigan-Dearborn. Ms. Schoenberg joined Arbor Research in 2014. She received her BS in Hotel and Restaurant Management at Eastern Michigan University and was a restaurant manager/bartender. She currently provides support for the Dialysis Outcomes and Practice Patterns Study (DOPPS) project. The publications & communications team works closely with investigators and analysts to coordinate and finalize manuscripts for journal submission, ensuring that all requirements are met throughout the peer-review and publication process. The team also edits proposals, reports, abstracts, and other research-based publications. Ms. Van Doren joined Arbor Research in 2009 as a Medical Editor and currently serves as Senior Medical Editor. She holds a BS in Journalism from Bowling Green State University and an MFA in Creative Writing from National University, San Diego. Ms. Van Doren edits peer-reviewed manuscripts and other publications across project areas. She is also point editor on grant proposals. Her background as a consultant includes scientific editing for The University of Toledo College of Pharmacy, Cognitive Pharmaceuticals/Mithridion, and Morehouse School of Medicine. She previously managed communications for Lourdes College and the American Red Cross. Ms. Leslie joined Arbor Research in 2018. Previously she served as Technical Writer Lead with the UM Kidney Epidemiology and Cost Center, primarily as an editor of the USRDS Annual Data Report. Ms. Leslie supports manuscript development for the Dialysis Outcomes and Practice Patterns Studies (DOPPS), website content development and maintenance, general communications efforts, and proposal development. Ms. Leslie holds an MS in Clinical Psychology from the Memorial University of Newfoundland. She began her career as a mental health clinician in Canada, followed by 18 years at the University of Michigan where her roles in the Department of Psychiatry included lead project management, program development, research training of residents and fellows, community outreach, and research administration. Throughout her career, Ms. Leslie has coauthored numerous manuscripts, book chapters, conference abstracts, funding proposals, and communications products. Ms. McCready-Maynes joined Arbor Research in 2003 as a Project Assistant for the SRTR contract. She has a BA in English from the University of Michigan. Ms. McCready-Maynes has worked as a Medical Editor since 2004, successfully editing peer-reviewed manuscripts for the Dialysis Outcomes and Practice Patterns Study (DOPPS), Renal and Lung Living Donor Evaluation Study (RELIVE), and the Adult-to-Adult Living Donor Liver Transplantation Cohort Study (A2ALL) projects, along with annual reports, contract deliverables, and proposals. Prior to Arbor Research, she was the Senior Editor and Staff Writer for The Engravers Journal, a small trade publication. She also served as an Editing Specialist for OMI, Inc., and a Development Research Associate for the Colorado School of Mines. Ms. Leighton joined Arbor Research in 2007 and holds a BA in Journalism from Michigan State University. Ms. Leighton collaborates with international investigators and analysts, as well as with Arbor Research’s own statisticians, investigators, editors, and administrative teams. She is responsible for the scientific editing of deliverables and manuscripts for peer-reviewed publications across multiple projects, including the Dialysis Outcomes and Practice Patterns Study (DOPPS), the DOPPS Practice Monitor, the Peritoneal Dialysis Outcomes and Practice Patterns Study (PDOPPS), the Chronic Kidney Disease Outcomes and Practice Patterns Study (CKDopps), Empowering Patients on Choices for Renal Replacement Therapy (EPOCH-RRT), the Adult-to-Adult Living Donor Liver Transplantation Cohort Study (A2ALL), the Renal and Lung Living Donors Evaluation Study (RELIVE), the Cure Glomerulonephropathy Network (CureGN), the Lower Urinary Tract Dysfunction Research Network (LURN), the NephCure Kidney Network, the Childhood Liver Disease Research Network (ChiLDReN), and the Health Policy and Practices Project. Ms. Leighton is committed to clear communication and fluid cooperation with a wide and international range of medical researchers. The administrative functions at Arbor Research include: business and financial operations; human resources; facilities; compliance; and funding and proposal development. Administration is responsible for overseeing and meeting the diverse needs of employees, guests, visitors, collaborators, and other external parties. Ms. Cloyd joined Arbor Research in 2014. She has responsibility for assisting the President with a wide range of organizational, administrative, and strategic projects including calendar management and supporting the Board of Directors. She has 30 years of executive administrative experience, including more than 20 years as the Senior Executive Secretary to the Treasurer of the University of Michigan. Ms. Kupres joined Arbor Research in 2010 as the Human Resource Assistant, bringing with her human resource experience in small and large size companies. During her first two years, she provided the day-to-day support for the Human Resource Manager and introduced ideas to improve processes and the workplace. In 2012, Ms. Kupres was promoted to the management role and is now responsible for leading all aspects of the Human Resource department, including but not limited to, recruitment, employee relations, talent management, compensation & benefits, and policy interpretation. Ms. Kupres holds a BA from the University of Michigan and received her Professional in Human Resources (PHR) certification in 2013. Mr. Esper joined Arbor Research in June 2017. He has worked in healthcare, primarily in facilities & office management, for over 22 years. At Arbor Research, Mr. Esper supports and manages facility maintenance, operations contracts with vendors; oversees development of the administration and occupancy budgets; disaster management team administrator; physical security trainer; readytalk administrator; move team co-leader. Ms. Ward joined Arbor Research in 2016. She works with internal customers on invoicing and provides additional support through financial analysis and reporting. Ms. Ward holds a bachelor’s degree in Psychology from Kalamazoo College and a master’s degree in Accounting from Eastern Michigan University. Ms. Luan joined Arbor Research in January 2018. She works with the finance team to optimize accounting software and financial processes. She also prepares, examines, and analyzes accounting records, financial statements, and other financial reports to assess accuracy, completeness, and conformance to reporting and procedural standards. In addition, she supports financial analysts with completion of the monthly financial package by preparing specific monthly financial work papers. Ms. Luan holds a master’s degree in Accounting from Eastern Michigan University. Ms. Crow joined Arbor Research in 2015, bringing over 25 years of experience with healthcare delivery and health research organizations, supported by a mix of public and private funding. Prior to joining Arbor Research, she was the Director of Finance at Sarcoma Alliance for Research through Collaboration (SARC) in Ann Arbor. Ms. Crow led that organization in forecasting results using financial modeling and analysis. She oversaw the annual budgeting process ensuring alignment with the strategic plan and was responsible for presenting the financial position to the Board of Directors. Ms. Crow graduated in 1985 from Illinois State University with a Bachelor of Science in Accounting, minor in Business Administration. Ms. Crow is a certified public accountant, member of the American Institute of Certified Public Accountants and Michigan Association of CPAs. Ms. Shi graduated from Eastern Michigan University with both her bachelor’s degree and master’s degree in accounting. She joined Arbor Research in October 2017. Her current role at Arbor Research supports and performs day-to-day accounting functions. She is also responsible for accounts payable, accounts receivable procedures, and supporting financial analysts with completion of the monthly financial package. Before joining Arbor Research in May of 2017, Ms. Little was a Human Resources Specialist in the financial industry with responsibilities ranging from onboarding to training and development practices. Her role at Arbor Research focuses on creating and implementing learning and development programs within Arbor Research. She graduated from the University of Colorado with a BA in Communications in 2004, and has been working in the Human Resources field for six years. Ms. Seils joined Arbor Research in 2017. She is a graduate of Oakland University with a BS in Wellness, Health Promotion and Injury Prevention. Ms. Seils provides direct administrative support to the mid-level management team and investigators at Arbor Research. Mrs. Moran joined Arbor Research in 2007. She provides dedicated support to the vice presidents, including calendar management, travel arrangements, expense and credit card reconciliation, point of contact, correspondence, professional memberships, journal subscriptions, and conference registrations, as well as administrative support for the Board of Directors Finance and Audit Committee. Mrs. Moran manages the company travel system providing assistance to all staff regarding travel, and related expense and pre-request reporting. She oversees the day to day duties of the administrative assistants, providing direction and training as required. She has worked in the administration field for 30 years. Ms. Boggio joined Arbor Research in 2012. She is a graduate from Michigan State University with a BA in Human Resources and Society. Ms. Boggio has over 5 years of Human Resources experience. Her current job responsibilities include recruitment, benefits, payroll, data entry, etc. Ms. Mason joined Arbor Research in September of 2017. Her main responsibilities include negotiation and monitoring of all major contracts including public and private funders; ensuring compliance with all company policies and procedures, government regulations and industry protocols; and supporting IT and Operations with data security and privacy. She received her BA in International Relations from Michigan State University in 1996 and a JD from Western Michigan University Cooley Law School in 2004. Ms. Mason has been an Assistant Prosecuting Attorney with Muskegon County, a Judicial Staff Attorney with the 6th Circuit Court in Oakland County, Michigan, and has managed her own private solo practice. She also co-founded a niche recreational outfitter business in the Paddle Board Industry and toured all across the state of Michigan plus multiple countries. Ms. Mason has served as President over one of the largest adult female hockey leagues in the country and as an Advisor on the State Bar of Michigan Domestic Violence Committee. She received Oakland County’s Domestic Violence Prevention award in 2005 and Outstanding Woman Law student in 2002. She is licensed in the State of Michigan and the U.S. District Court-Eastern District of Michigan. The IT team manages the Arbor Research computing environment; this includes upgrading the network infrastructure and selecting and deploying new applications and equipment to support organizational requirements. Team members provide security services and training for employees and subcontractors and maintain compliance with governmental and business security standards. IT also supports and administers installed systems, work that includes troubleshooting, maintaining, and upgrading hardware components; administering networked Microsoft systems; and monitoring system functions. Mr. Foej received his BIT degree in Informatics and MIT degree in Enterprise Architecture from Griffith University, Australia. He joined the Arbor Research IT Support Team in 2015. His current role is IT Support Specialist and his responsibilities include providing primary-level technical support, maintaining workstations and laptops, and providing other computer-related support on a daily basis. He also provides operational support for the virtual private network (VPN) system and the electronic signage system for Arbor Research employees. Mr. Vandermade received a BBA in Entrepreneurship and Finance from Eastern Michigan University in 2009. He joined Arbor Research in 2007 and currently provides IT and computer related support and assistance for IT department staff and Arbor Research employees. Mr. Brucksch received his BBA in Computer Information Systems from Western Michigan University in the summer of 2011. He joined the Arbor Research IT team in June 2015 to work on various network and server projects. He brings experience with and exposure to a wide range of enterprise technologies from his previous job as an IT field engineer. Mr. Jaiswal has four years of experience designing and managing Enterprise Networks. He currently holds an MS degree in Telecommunications Engineering from the University of Oklahoma with a major in Quantum Cryptography. He also holds CCNA and CCNP Routing certifications. He has been working at Arbor Research since May 2017 as a Network Administrator. His responsibilities include providing support to the Arbor Research IT Network, Network planning, and working on current and future IT projects. Mr. Droppleman joined Arbor Research in 1997 and has over twenty two years of technical experience in the health care industry encompassing a range of duties from conducting healthcare cost-benefit analyses, healthcare data analysis, and IT operations and security. His responsibilities include managing the day to day operations of the Arbor Research Network and Network IT department, Network planning and design, and overseeing security certification, policy, and compliance. He currently holds a SANS Security Essentials certification, and received a BS in Applied Mathematics and a BA in Economics from the University of Colorado, and an MS in Resource Planning and Behavior from the University of Michigan. Mr. Patel graduated from Eastern Michigan University with a BS in Computer Science. He has over ten years of experience in the IT field and joined Arbor Research in 2006. His responsibilities include managing day to day operations of the Arbor Research Network, implementing security policies and providing technical support to end users. He currently holds SANS Security Essentials certification.